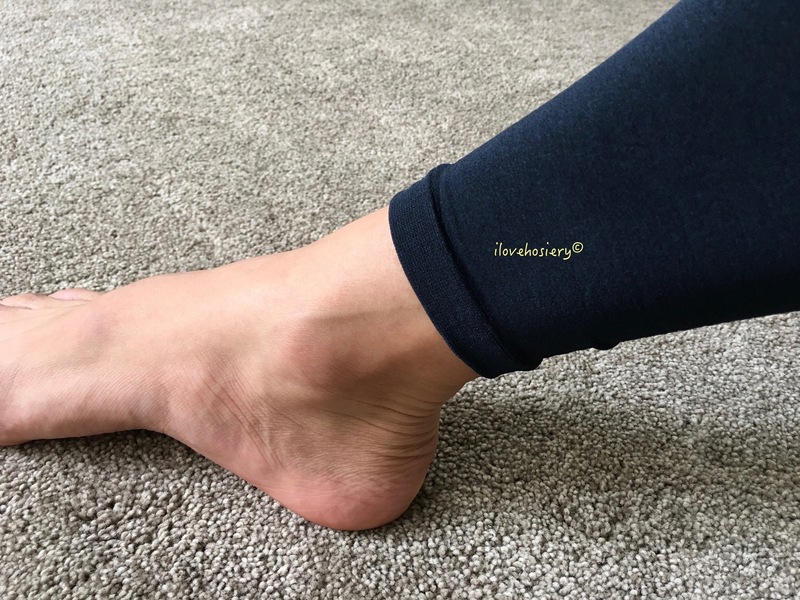 ⊕ Super Soft and smooth material makes the leggings very comfortable to wear. ⊕ Dynamic look with ever-changing matte and metallic sheen. ⊕ Pressure-free, soft and comfortable waistband. • Economic packaging left the item prone to damage. 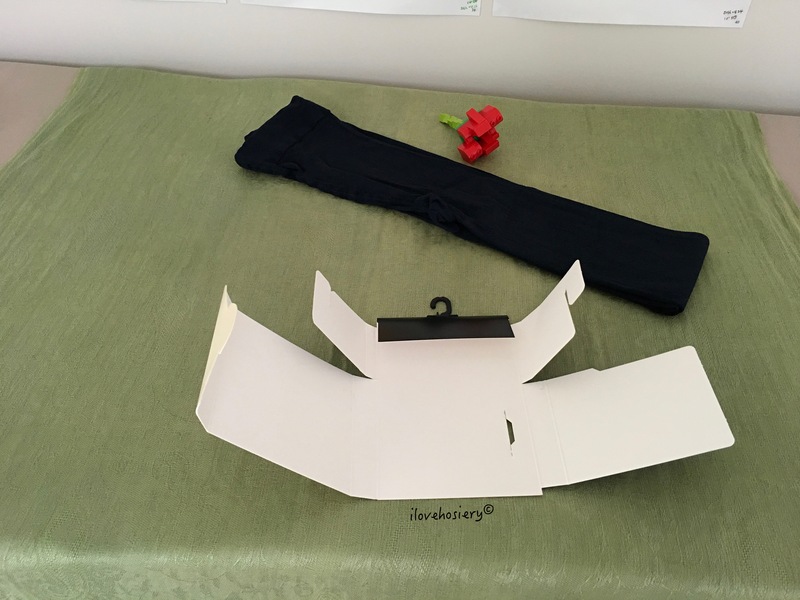 The leggings were packaged using a folded cardboard that only covers half of the item, while leaving the other half unprotected. Mine was undamaged but do check for any snags or damages if you are buying from retail shop. Apart from this, I find the packaging to be both economic and eco-friendly. Kunert managed to include a brief description of the product in three languages. There are also specifications about the leggings. Due to confined space, there is no size chart on the back of the packaging. You will have to rely on the shop assistant’s experience or online info. It doesn’t mention the “two-colour melange” appearance, which I feel is a bit of a shame, as it is such a wonderful feature. Again, one have to rely on experienced sales assistant or online to know this information. 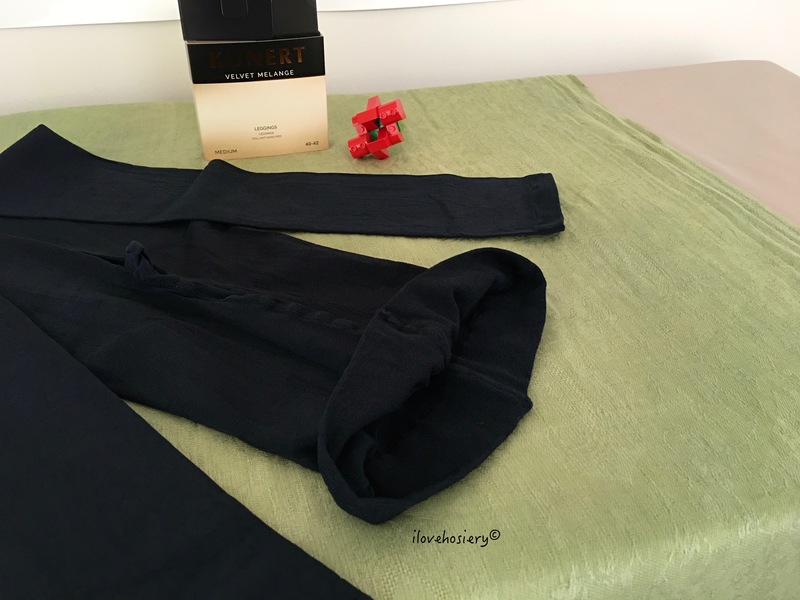 The Velvet Melange leggings has an opaque (70 denier) appearance. It looks matte in ambient light environment but turns into slight sheen when being shined upon. 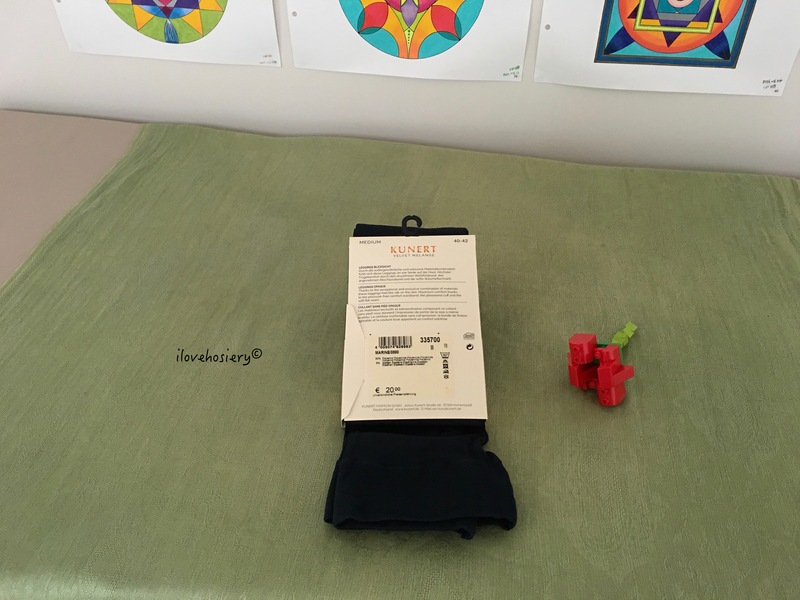 The texture is very soft and smooth to the touch, and stretchy. The pressure-free waistband measures 3.5cm wide. There is no tag at the inner-rear of the waistband. 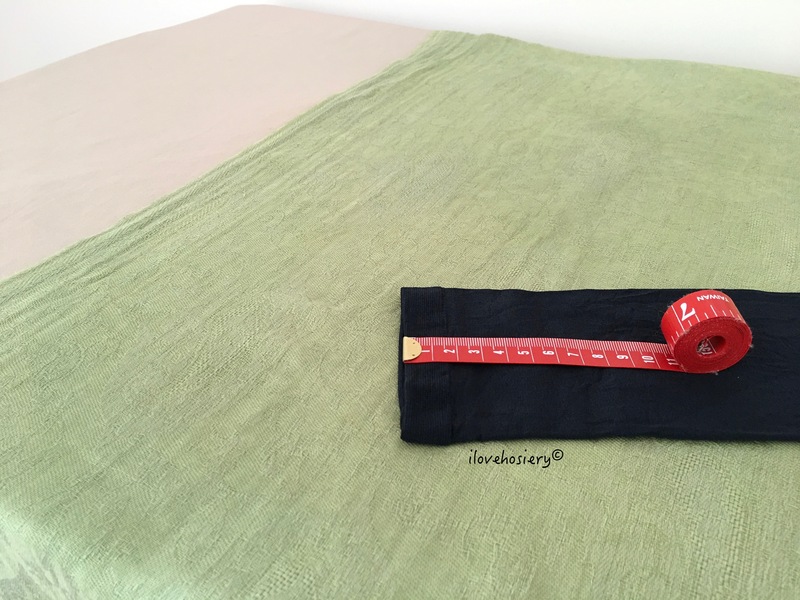 The hose is 9cm wide when lay flat, and the cuff band is 1.5cm wide. In addition, there is a hygienic cotton gusset. The composition is 92% polyamide and 8% elastane. 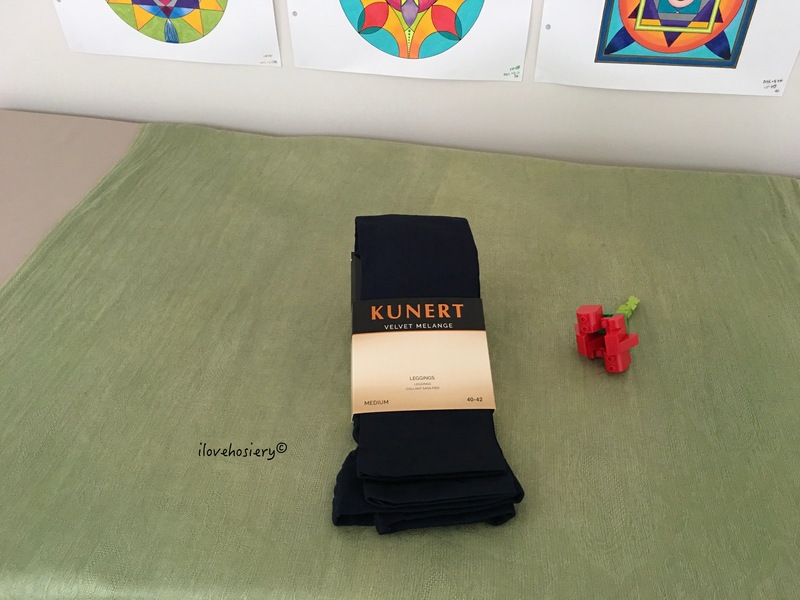 KUNERT Velvet Melange leggings promotional image. There are six sizes available, ranging from XS (36/38) to XXL (48/50). I have extracted the size chart for tights and leggings below for your reference. I used size M (40-42) for this review. 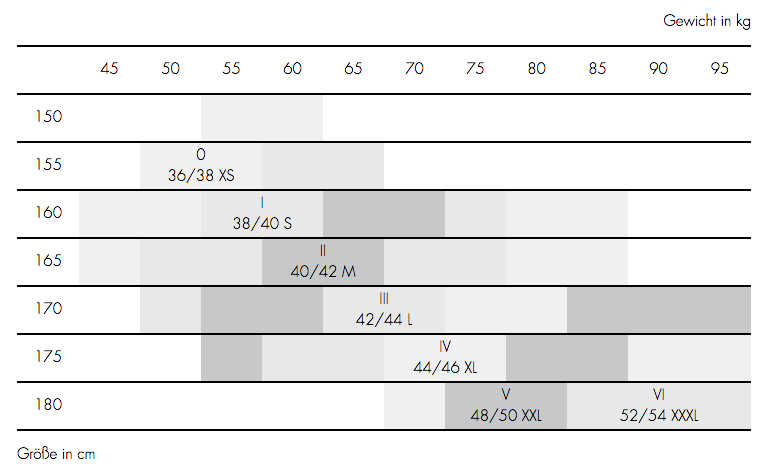 KUNERT tights & leggings size chart. At the time of writing this review, there are four colours available. They are Black, Grey, Marine and Taupe. I bought Marine for this review. 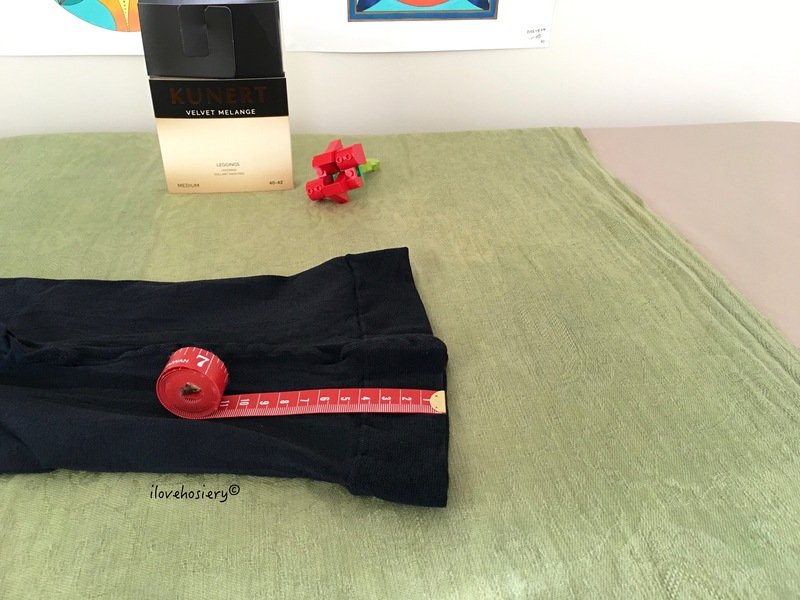 KUNERT Velvet Melange leggings colour selection. The fit was excellent and true to the size recommendation. The envelopment was also great from waist to calf. It gave the legs a good hug without exerting much pressure. It also felt relatively stretchy. Since there is no apparent front and back side, you can wear it back-to-front. 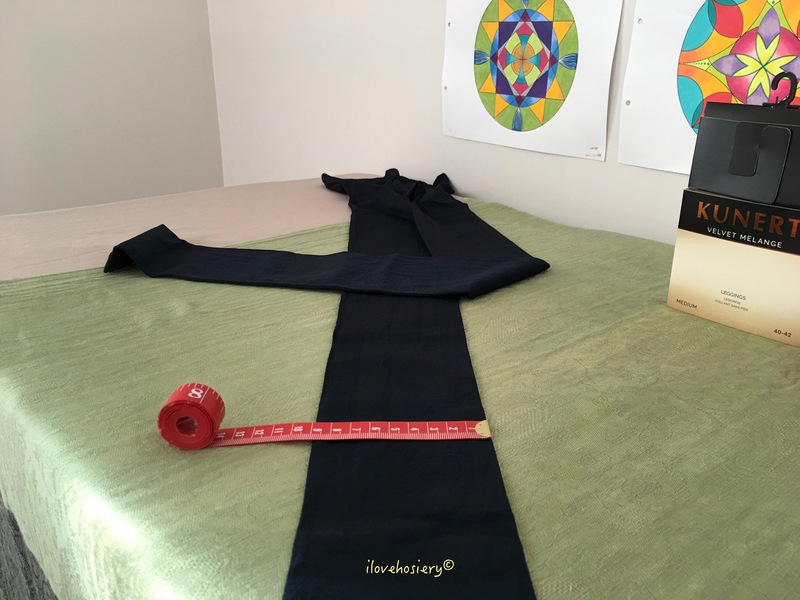 The waistband was very comfortable, but the cuff was relatively loose. The appearance indeed indeed match the “Matt-schimmernde Optik” and the “Zweifarbige Melangeoptik” I found on the Official website. Basically, the matte appearance turns into silver-coloured slight sheen under bright light environment. The ever changing appearance becomes an eye-catcher, especially when you are in outdoors. In addition, the colour is evenly distributed. The texture felt especially soft and smooth. I do agree with the description that it felt silky to the skin. There was not itchiness after prolonged wear. The breathability was only moderate, but it did keep my legs warm. 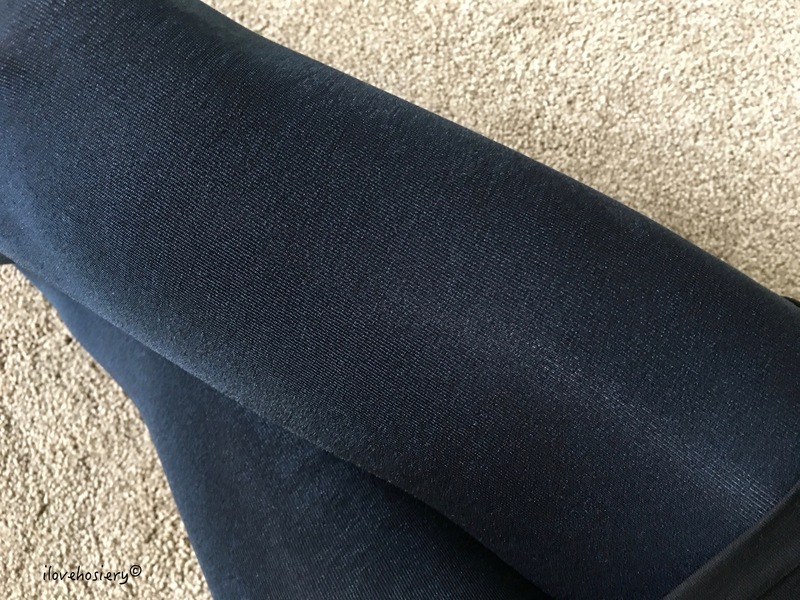 The Velvet Melange leggings not only are very comfortable to wear, but also fit perfectly. Best of all, the ever-changing look makes the legs very attractive. This is one of the best leggings I have worn since Wolford Velvet cotton leggings I bought several years ago. The only drawback I can think of is the half covered packaging and a relative loose cuff. The retail price for Velvet Melange leggings is €20, and is available throughout the year. The range also comes in tights, knee-highs and socks.